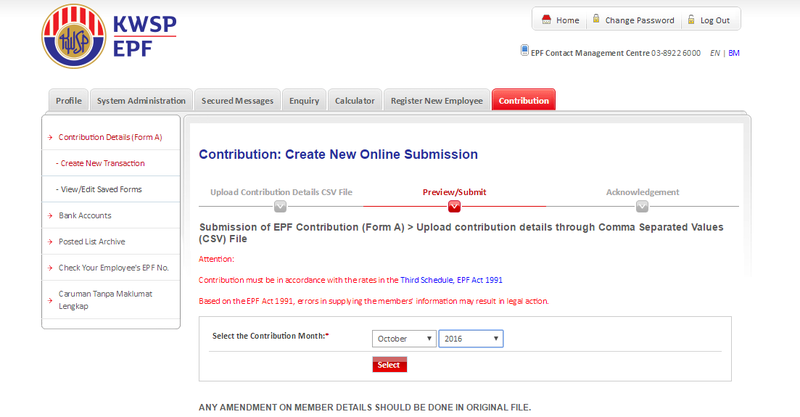 PayrollPanda — How to submit the EPF (CSV) file through I-Akaun? 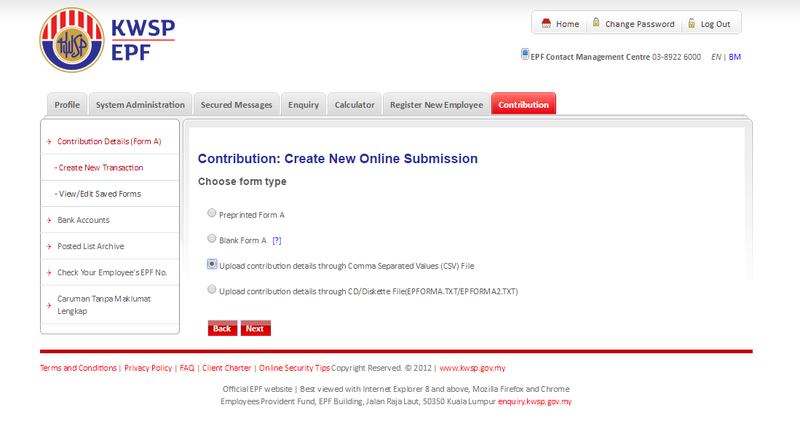 Help Center Home App How to submit the EPF (CSV) file through I-Akaun? Go to https://secure.kwsp.gov.my/secured/employer/login to access your employer iAkaun. 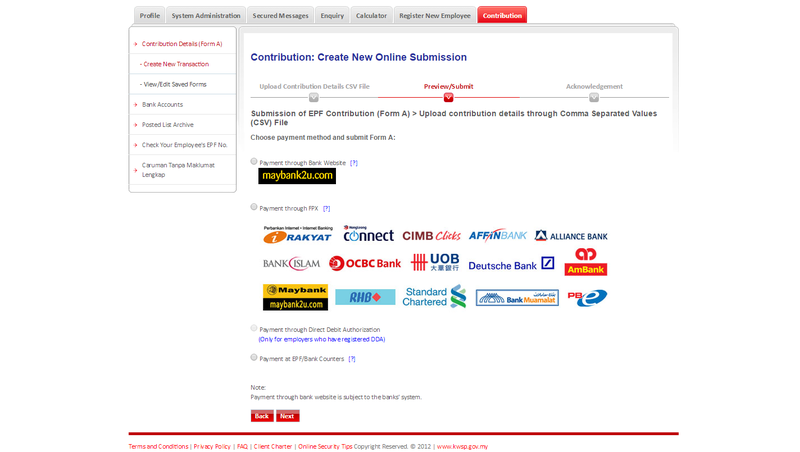 Then select “Upload contribution through .csv File” and upload the relevant .csv file to the system. Once you have uploaded the .csv file, you need to select the correct contribution month. IMPORTANT: Please note that the contribution month is always one month AHEAD of the salary month. Ie. If you ran payroll for the month of September 2016, then the contribution month has to be October 2016. 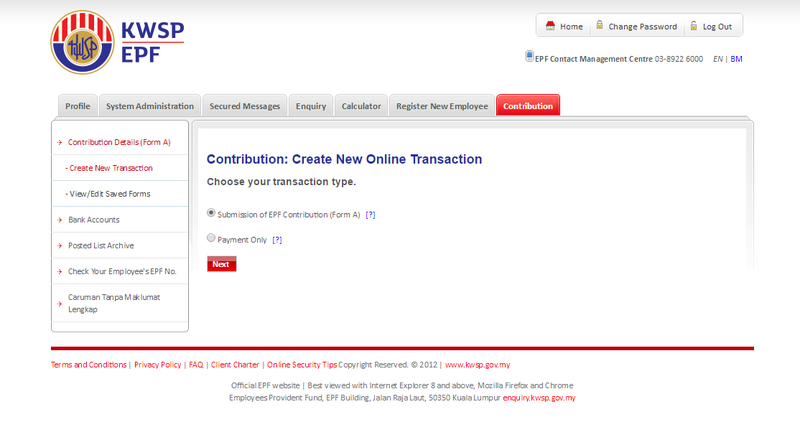 For further reference, you may view a video directly at the KWSP website on How to upload a CSV file as the employer. For more details on the payment methods available through i-Akaun, you may refer to the KWSP Online Payment FAQ document.